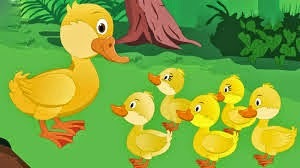 Five Little Ducks song words. But only 3 little ducks came back. But only 2 little ducks came back. But only 1 little duck came back. But no little ducks came wondering back. And 5 little ducks came wandering back.